It’s been a busy week or so here at Old Friendship Crafts. My boys have been on half term which has limited my ability to get into the workroom – I did leave them in the house so I could get sewing but that wasn’t a very good idea – the place looked like a bomb had dropped when I got back inside but I must admit that both boys kept me in cups of tea when I did get the opportunity to sew. I have been inspired by a couple of sunny days in North Norfolk (among many horrible wet ones!) and since the arrival of some yummy fabrics I have been itching to get sewing for Spring. 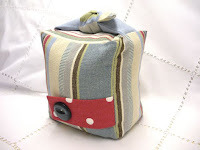 Out of a remnant from my friend’s soft furnishing studio, Lisa Dawson Soft Furnishings, I made a gorgeous doorstop from a fabric designed by Angie Lewin for St Jude’s Fabrics, based a few miles from us here at the Old Friendship. 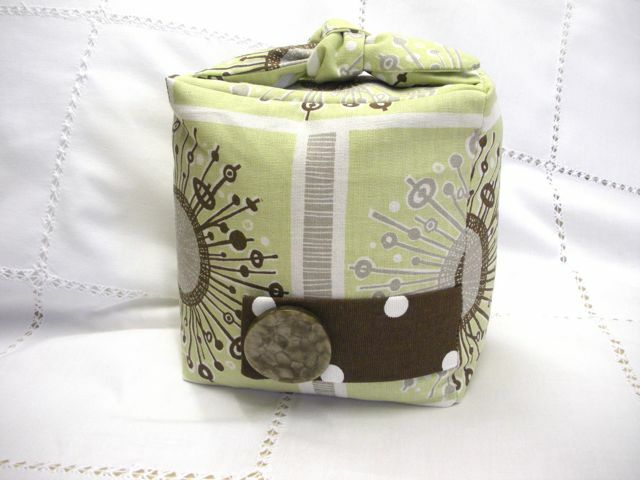 As you can see the design, called Seedheads, is quite retro in feel and looks stunning in this brown, green and grey colourway, complimented by a bold tab in chocolate dot fabric and chunky button. The handles are tied and contain lavender to give your room a nice fragrance and this would look great propping open a living or bedroom door. 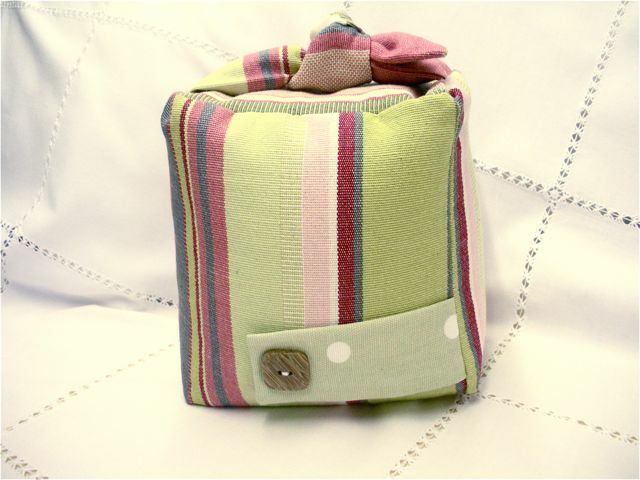 If retro is not your thing, and it doesn’t appeal to all, then I have taken some inspiration from all things coastal, seaside and holiday themed to create a couple of doorstops in bold seaside stripes, one in pinks, greens and burgundy and the other in blues and greens. 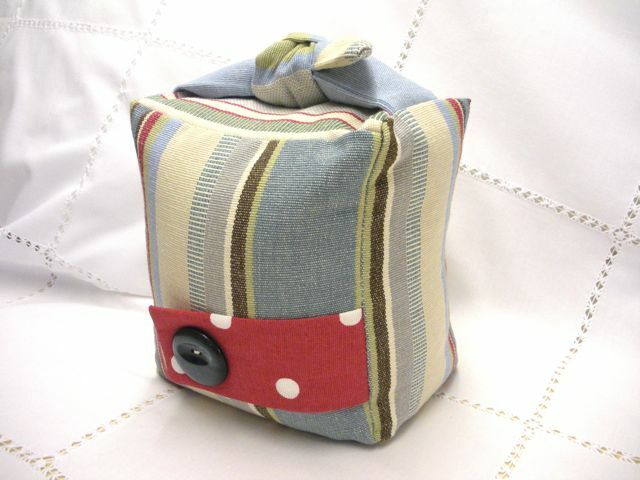 Both of these designs are complimented by buttons and tabs in dotty fabric as I think that stripes and dots go so well together. Continuing the coastal theme, I couldn’t resist a couple of deckchair stripe hearts to add to my already growing collection. 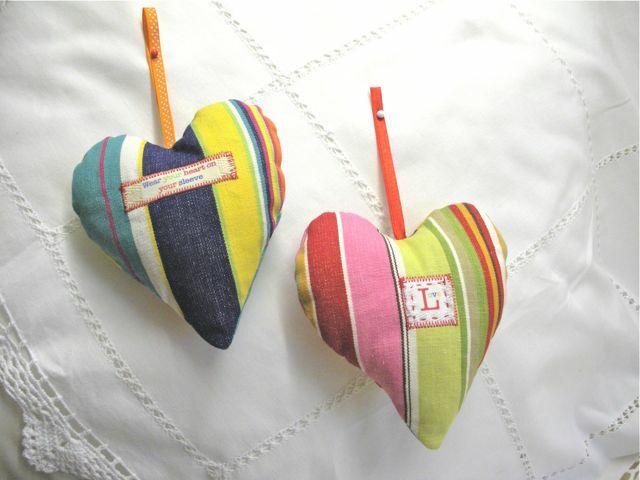 These two are packed with lavender and polyester wadding and have a pretty ribbon sewn into them so that they can easily be hung on a door or wardrobe to gently fragrance the room. Even the labels on these are handmade, using my inkjet printer and I think they have come out really well. Turning to prettier, dare I say more ‘girlie’ fabrics, then these two notebook covers are sure to impress! 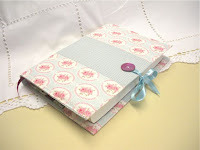 Made from quilting weight fabric, they are stiffened using heavy-weight interfacing and fit an A5 size notebook – mine was about an inch thick but a thinner one would work just as well. These have ribbon ties and a pretty button detail and would look great covering a journal, garden notebook or recipe notebook that contains all your favourite recipes. Great just to keep for yourself or give as a very personal gift to a relative or friend. All these items are available in my Folksy and Etsy shops – just follow the links on the right hand side to get there. Not content with just sewing, I decided to try my hand at crochet and must admit that I am totally hooked (pardon the pun!) I was never any good at knitting and my mother spent years trying to teach me – the problem was that she is right-handed and I am a leftie so we were doomed from the start. But crochet seems much easier to me, more logical and has the added advantage that it grows really quickly so you can see your work taking shape before you get bored and give up! 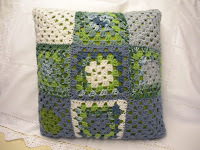 I started with a “granny square” and using a very useful video on You Tube managed to get the fundamentals. 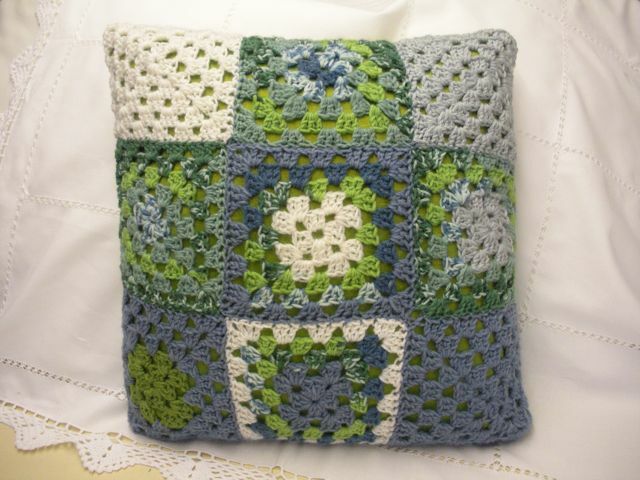 Once I got the hang of it there was no stopping me and my first creation is a cushion – a series of nine squares sewn together and backed by a pretty lime green silk effect fabric. Even if I say so myself, I am proud of the outcome. Granny Squares are great and now I have moved on to making crochet flowers as well, and with my mum’s help, am hoping to create some gorgeous Spring tea cosies which I hope to persuade her to knit and I can then decorate with crocheted flowers. So watch this space to see the outcome. Must go now – one son is off to a swimming party and the other wants to go to the Golf Range – happy days! See you all soon. 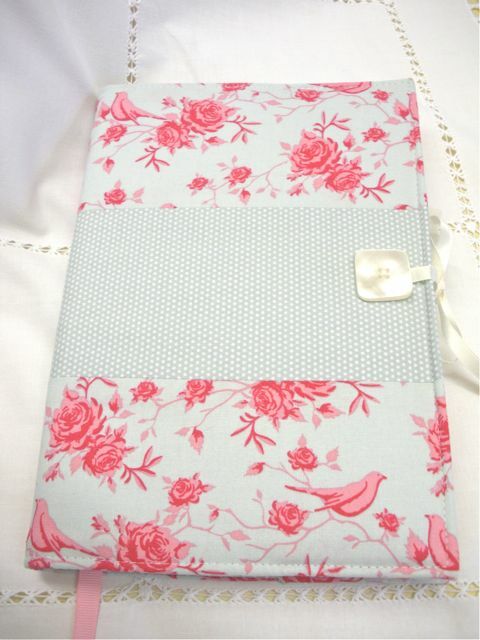 Love these refreshing fabric notebooks!